LANCASTER, Mass. 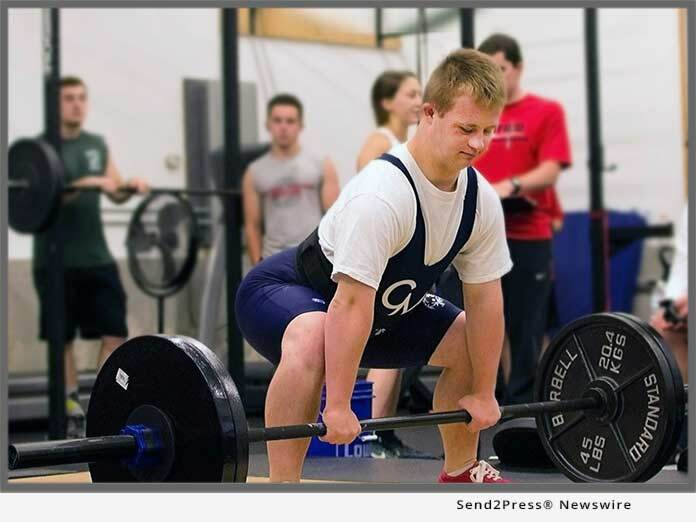 /Massachusetts Newswire/ — Unified Health & Performance (UHP), a distinctive fitness center located in Lancaster, Massachusetts aspires to be a presence in inclusive athletics. Founded in 2016 with a mission to enable people with and without disabilities to train alongside one another, UHP members encompass a wide range of athletes with personal fitness goals including those from high school and collegiate sports programs, marathon runners, and individuals. CAPTION: UHP Member Nick Giovinazzo. UHP members have realized extraordinary results – two standout examples featuring athletes with disabilities are highlighted in this release. Throughout the year, approximately 300 athletes workout at the inclusive fitness center, mutually inspired by each other’s presence. Another 200 athletes have participated on a more limited basis, such as in one day workouts and camps. Motivated by organizations such as Special Olympics, Team Hoyt and Best Buddies that have helped spearhead the inclusion movement, UHP Owner and Strength and Conditioning Coach Brendan Aylward was moved to follow a complementary path by founding UHP. “We are actively involved in research on strength and conditioning for athletes with Cerebral Palsy and Down Syndrome. Individuals with disabilities don’t always have the same opportunity to be as active as their peers. I opened Unified Health and Performance to fill this void,” said Aylward. UHP’s mission has been embraced by the community which has helped extend his message, encouraging more members to join the gym. Owen Anketell trained at UHP, and during the summer of 2017 hand cycled 2,365 miles from Calais, Maine to Key West, Florida to promote awareness for his own organization – Adaptive Sports Awareness. Owen was born with hereditary spastic paraplegia, so weak leg muscles necessitates using a wheelchair, but this has not stopped him from succeeding as an athlete. Owen continues to be actively involved in sports. He attends the University of Arizona which has one of the best adaptive sports programs in the country. Owen, along with his best friend and cousin, averaged 50 miles a day during their ride to Florida. Nick Giovinazzo, Best Buddies and Special Olympics Massachusetts participant, is another remarkable adaptive athlete at UHP who has attained impressive feats. Nick can deadlift more than 300 lbs., bench press 185 lbs. and can back squat nearly twice his bodyweight. More than an impressive athlete, Nick is an incredible advocate of inclusion; participating in the Best Buddies Football Challenge and starring in their commercials alongside New England Patriots Superstar Tom Brady. Founded in 2016, Unified Health & Performance is an inclusive athletic facility dedicated to offering fitness services that accept, assess, and address the specific needs of its clients with an emphasis on training for sports performance, and improving the health and wellness of individuals with intellectual and physical disabilities. Unified Health and Performance is located at 121 Mill Street, Lancaster, Massachusetts. For more information, contact Brendan Aylward at unifiedhp@gmail.com, (978) 855-9141 or visit https://unifiedhp.com/. MostFit to Feature the Core Hammer and SYN Rings at the 2018 NSCA Coaches Conference in N.C.